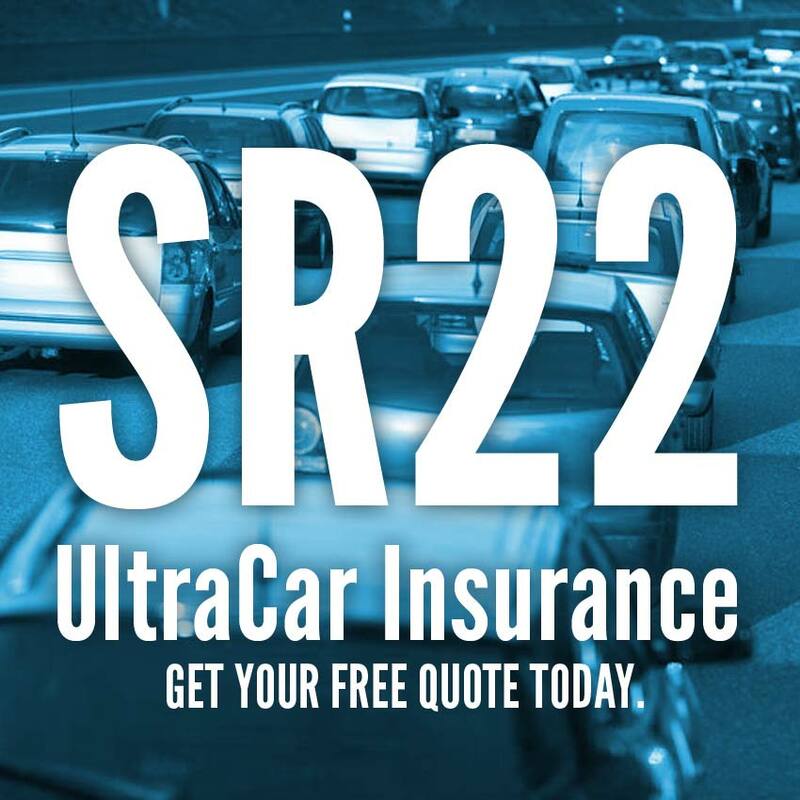 We offer excellent standard motorcycle insurance coverage as well as SR22 motorcycle insurance. Get a quote now or call today. All motorcycle insurance policies are required to include property damage liability and bodily injury liability coverage. There are many additional coverage options available to customize a policy to suit your needs. If needed, an SR22 certificate can be tied to a motorcycle policy to obtain license reinstatement after a suspension. There are many ways to save money your insurance premiums. UltraCar Insurance offers comparative motorcycle insurance quotes from top insurance companies. Our policies cover bodily injury, collision, comprehensive, medical payments, passenger liability, accessory, uninsured/under-insured motorist as well as agreed value settlement option and roadside assistance. We know that you invest time and money to make your motorcycle reflect your individual taste, so we offer customized motorcycle insurance to protect your bike and accessories. Our licensed agents will find the best rate and policy for your needs. Property Damage Liability and Bodily Injury Liability insurance, which are required by law, are automatically part of any standard motorcycle insurance policy you purchase from UltraCar Insurance. Property damage liability coverage pays for the repair or replacement of another driver’s property, including vehicles, homes and other structures. Bodily injury liability coverage pays medical costs of other people involved in an accident. It is important to be aware that in some states, bodily injury to a passenger is covered separately under passenger liability coverage. In other states, bodily injury liability coverage that applies to passengers can be purchased for an additional premium. Keep a clean driving record: With some insurance companies, a driving record free of accidents, tickets and other violations can result in a discount upon renewal if no claims have posted during the previous term. Experience operating a motorcycle: Insurance companies look not only at your driving record, they calculate risk based on your experience operating motorcycles as well as the specific cycle you want to insure. Motorcycle insurance premiums are generally lower for those with more experience operating a motorcycle. Training and certification: Passing a certified motorcycle safety course every three years and presenting the certificate to your insurance provider can reduce your insurance rate by 10% to 15%. This is a little-used way to save on motorcycle insurance that can have a beneficial impact on your rates. Buy less bike: Expensive, high-end sport bikes with bigger engines cost more to insure than cruisers with smaller engines – and a used bike cost less to insure than a new one. Purchase only the coverage you need: Every state requires a minimum amount of liability insurance coverage, and if your motorcycle is financed, your lender probably has its own coverage requirements. Beyond that, you’re free to select the type and amount of insurance coverage you need. For new bikes, carry enough to cover bike replacement and medical payments. Remember, used bikes depreciate quickly. Determine the value of your motorcycle by using the NADA guide to compare its value compared to the cost of comprehensive and collision coverage, and as the motorcycle ages, consider dropping comprehensive, collision and specialized coverage like accessory insurance and total loss coverage to lower your premium. If you have health care insurance, you might consider dropping coverage for medical payments on your policy. Opt for a higher deductible: If you are willing to assume more risk by paying a larger share of any loss, insurance companies reward you with a lower monthly premium. This is especially true for those exotic sport bikes. Bundle your insurance: Combining your motorcycle, homeowners and auto insurance with one insurer can result in savings on all of the insurance premiums. Contact UltraCar Insurance agent for additional information. It takes only a few minutes to get quick competitive standard or SR22 motorcycle insurance quotes. Talk with one of our agents to find out how much you can save! If you own a motorcycle and need to file a Virginia FR44 Insurance certificate after a DUI violation, it may surprise you that you can obtain Virginia FR44 motorcycle insurance. There aren’t many insurance providers that will endorse an FR44 certificate to a motorcycle insurance policy – but UltraCar Insurance does!